Will 2018 be the warmest year on record? Ice cream melts faster than it used to. 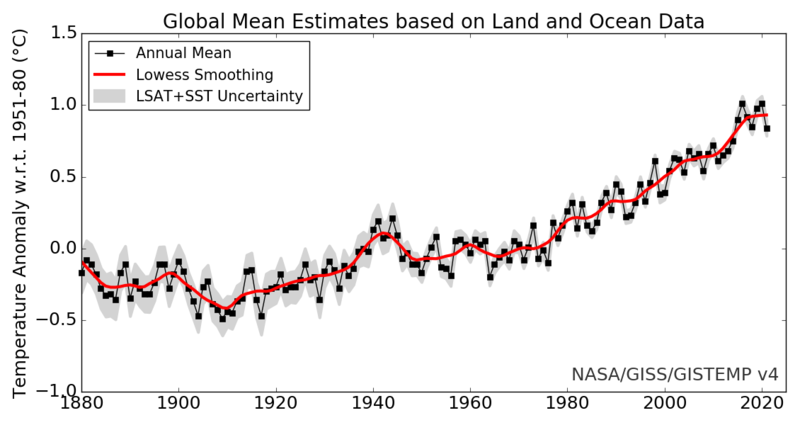 In 2016, the average global temperature, according to the NASA Goddard Institute for Space Sciences (GISS) data analysis, was the warmest on record, besting the previous mark which was set in 2015. Earth has something of a streak going -- the last three years have all been global temperature record setters. There is unambiguous evidence that climate change, driven by increasing atmospheric CO2 concentration (as well as other greenhouse gases), is responsible for the relentless upward trend. Nonetheless, stochastic variations do lend a short-term veneer of unpredictability to near-term measurements. Will 2018 again set a new record? Or will it fall off the recent record-setting pace? This will resolve in the positive if the NASA GISS global average temperature for 2018 is published above that of any prior year for which records exist. As a practical matter, this will be either 2016 or (possibly) 2017.